Popular Mechanics featured Hewlett Packard Enterprise’s (HPE) Spaceborne Computer in an article published yesterday. The Spaceborne Computer, which represents the first long-term demonstration of supercomputing capabilities from a commercial off-the-shelf computer system on the International Space Station (ISS), achieved one year of successful operations on the ISS National Lab in September 2018. Although the Spaceborne Computer was originally planned to return to Earth in early 2019, changes in the ISS cargo schedule resulting from the Soyuz launch anomaly in October 2018 led to an extended mission for the computer system. During its extended mission, the Spaceborne Computer has been available to investigators conducting research onboard the ISS National Lab, providing in-orbit data processing capabilities. At last year’s ISS Research and Development Conference, HPE was awarded the 2018 ISS Innovation Award in Technology Development and Demonstration for their innovative work on the Spaceborne Computer. In a panel session at the conference, HPE’s Mark Fernandez, lead engineer for the Spaceborne Computer, discussed the Spaceborne Computer project and how HPE is further innovating technologies for space exploration (see the video below). Learn more about the Spaceborne Computer in this blog post from HPE and in the related resources below. 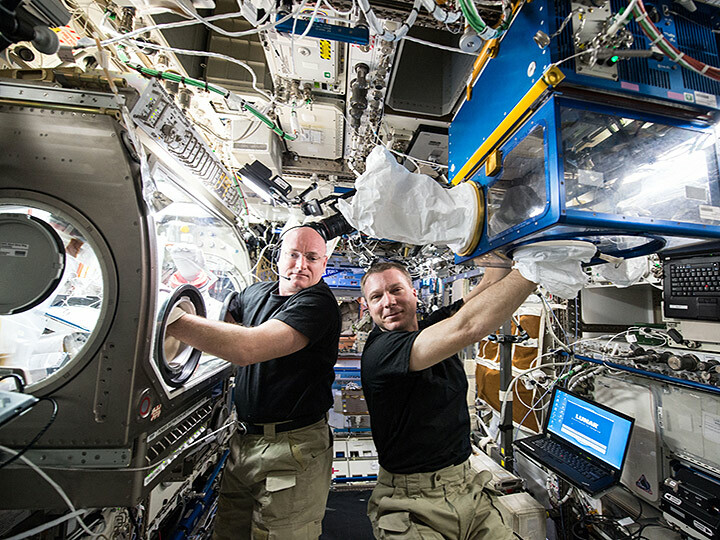 Learn more about HPE's innovative Spaceborne Computer and its successful year-long demonstration onboard the ISS National Lab in this ISS360 article. 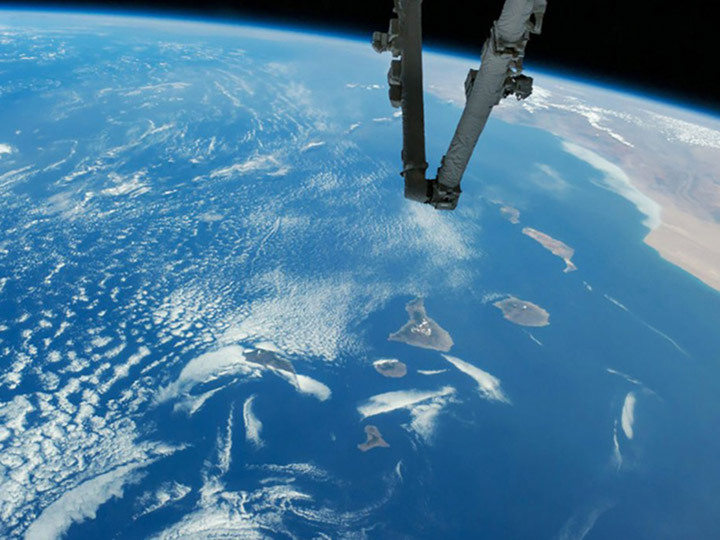 Read more about the Spaceborne Computer's successful operations on the ISS and how the computer system is able to maintain consistent, high-level performance in the harsh conditions of space in this blog post by Mark Fernandez, Hewlett Packard Enterprise Americas HPC Technology Officer. Hewlett Packard Enterprise received the 2018 International Space Station (ISS) Innovation Award in Technology Development and Demonstration at the ISS R&D Conference for their work on the Spaceborne Computer. Join The Verge’s Loren Grush, as she moderates a session of leaders from Silicon Valley-based companies—including Mark Fernandez of Hewlett Packard Enterprise—who have leveraged the space station to enhance their product, branding, or technologies. These panelists also explore potential opportunities for the future and how others can leverage the orbiting outpost to push the boundaries of research and development. Learn about the extended mission of Hewlett Packard Enterprise’s Spaceborne Computer to provide supercomputing capabilities for research conducted onboard the International Space Station. LambdaVision is a startup company who is developing a retinal implant that has the capacity to treat retinal degenerative blindness, which affects millions around the world. By sending research to the International Space Station (ISS) U.S. National Laboratory, LambdaVision seeks to improve the manufacturing process associated with this implant. Mission MIC: What Makes Ecolab Leaders in Microbial Control? 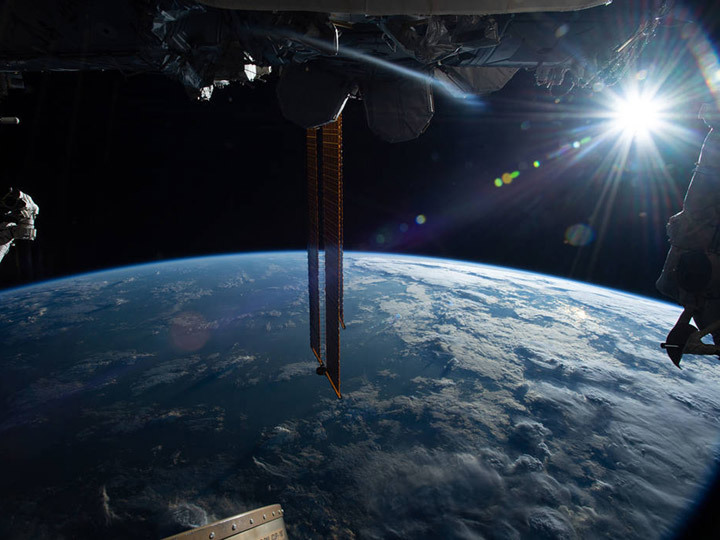 Mission MIC is a collaboration between Ecolab and the ISS National Lab that will enable us to study how oilfield biofilms grow in zero gravity versus what we see on earth. The experiment will launch in December 2018 and will help us answer questions that affect oilfield microbiology today. The current high failure rate (more than 50%) of drugs in clinical trials has been linked, in part, to a lack of accurate preclinical testing. This project aims to expand use of Lab-on-a-Chip (a fully automated, multifunctional cell culture platform previously validated in bacterial and crystal growth studies) to study human skeletal muscle cell growth.